“First on the field, last off,” are the type of pep talks I used to get as a child. My father is a former player for the Pittsburg Steelers, so I grew up in an athletic household that was big on health and wellness. I played sports from elementary school through high school and never worried about my size or fitness abilities. But when I got to college all of that changed. In undergrad dinner for me was the free food I got at the restaurant I worked at. I was so focused on bills and school that I never exercised, lived off of coffee, and soon realized that the freshman fifteen was not a myth, but easily turns into the sophomore thirty, or junior forty-five if you let it. But to be honest, I barely noticed that I gained the weight. It wasn’t until I went to my cleaning lady for the third or fourth time to get my pants altered in 2011 that I realized I wasn’t taking care of myself and needed to do something about it. Either be OK with an increase in jean size, or put the wings down and pick up a gym membership. I chose the latter and it was the best and toughest decision that I had to make in my life. Over the course of eight months, I lost a bunch of weight dieting and exercising, but it all came back in 2013 when I was in graduate school living again off of coffee, bagels, and fast food. Gaining the weight back wasn’t the worst part, the hardest thing to do was having to start over. I dreaded it so much that I made a promise to myself that if I lost the weight again, I wasn’t going to find it later. It was literally a spur of the moment, “enough is enough” decision. When I started the second round of my fitness journey, I signed up for boot-camp classes, small group and personal training to get back in shape. I also tried Herbalife because it was easier to get all the nutrients I needed while living on a busy schedule in graduate school. Once the pounds came off, I felt myself getting bored, so I started taking Muay Thai classes, and got my certification in personal training in 2014 to keep myself healthy, and be able to help others who are struggling with fitness and wellness. 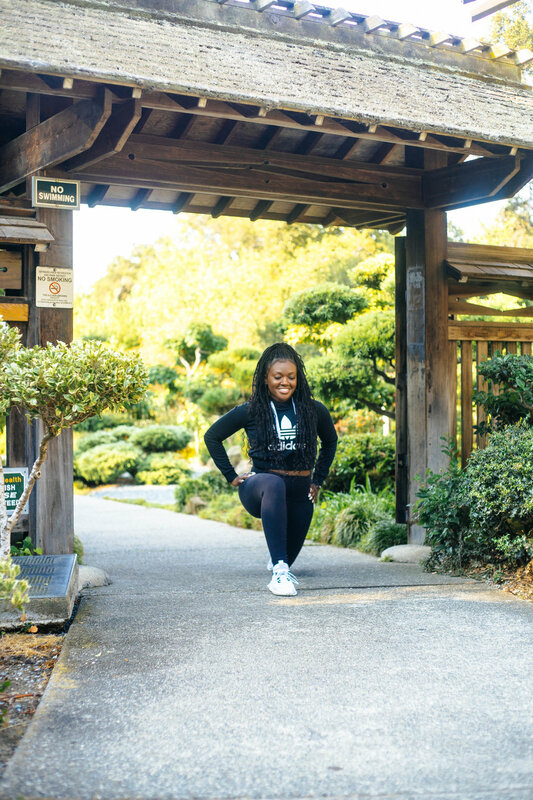 Because I know how hard it was - mentally, physically, emotionally, and financially to lose weight and keep it off, my approach to fitness is to challenge my clients to take small steps that will help them create a healthy lifestyle over time. Some clients just need extra motivation to make it to the gym at least three days a week, some need reminders to eat and drink regularly, and others just need someone to push them to train harder when lifting weights. I meet my clients wherever they’re at, and each week we work together to get them where they want to be. I push people to train hard, but I also want people to have fun. I’m big on preventing burn-out and boredom so I’m always creating new moves that are fun and still incorporate the fundamentals of fitness like my signature “jump and pump” move. Are you looking for new ways to work-out? Trying to lose weight or bulk-up and not seeing progress?